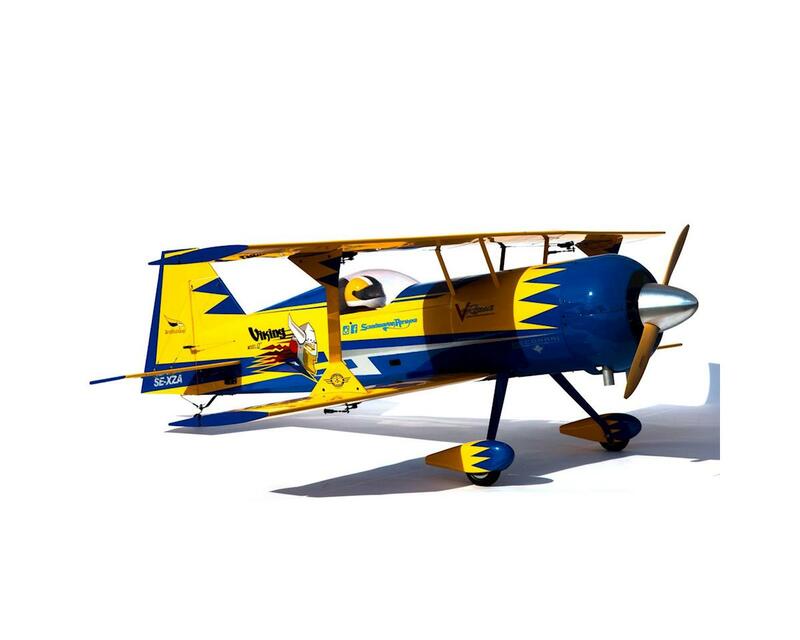 Scandinavian Airshow is a professional team with over 30 years of airshow experience. 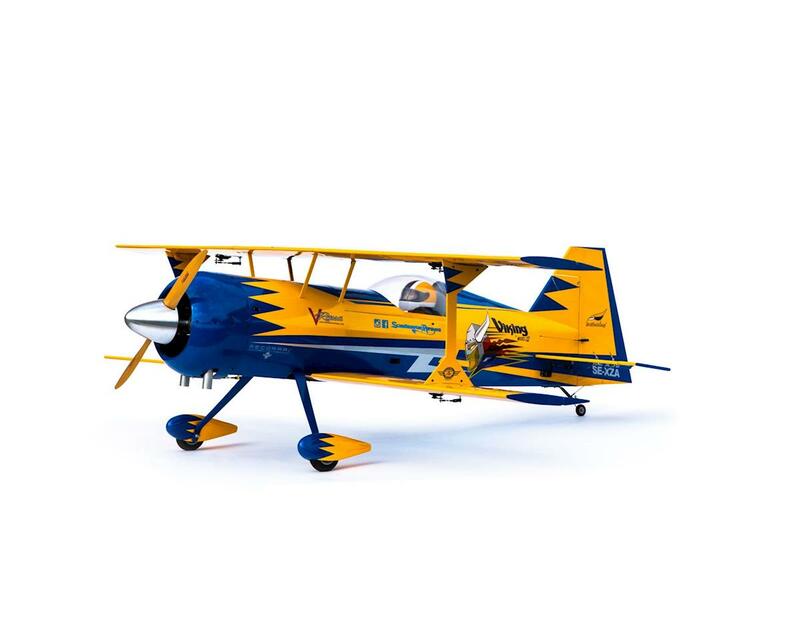 In 2013, they unleashed one of the most powerful aerobatic biplanes ever conceived – the Model 12 Viking. Designed by Kevin Kimball, built by Jim Kimball Enterprises and flown by Jacob Hollander, it has wowed millions all over the world. Everything about it, right down to the custom trim scheme by Mirco Pecorari of Aircraft Studio Design, is without equal. This giant-scale Hangar 9 replica is every bit the stunner its full-scale inspiration is. Matched with any of the most popular 100-125cc gas engines, it will perform show-stopping 3D maneuvers with competition-level precision. And its fit and finish is every bit as good as anything an expert modeler could build from scratch. 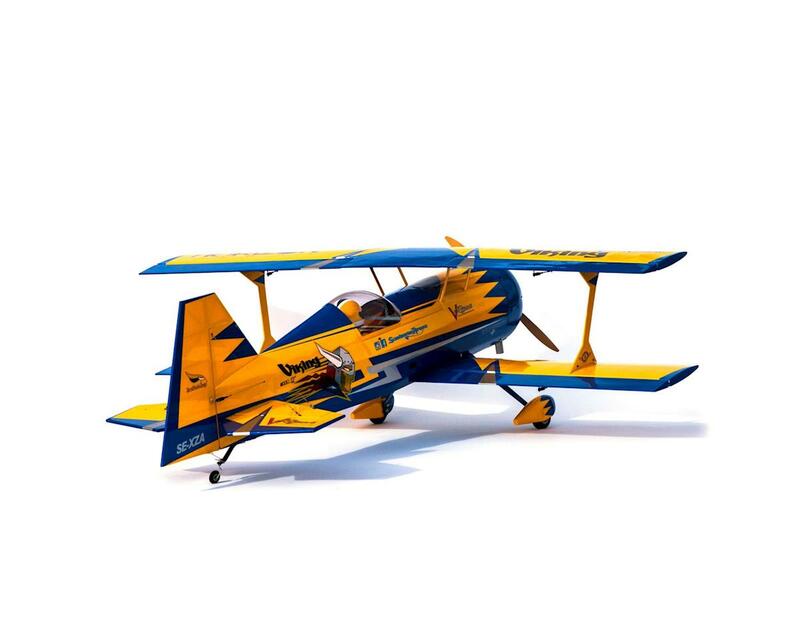 The model has been expertly built to exacting standards with the finest balsa and plywood available. 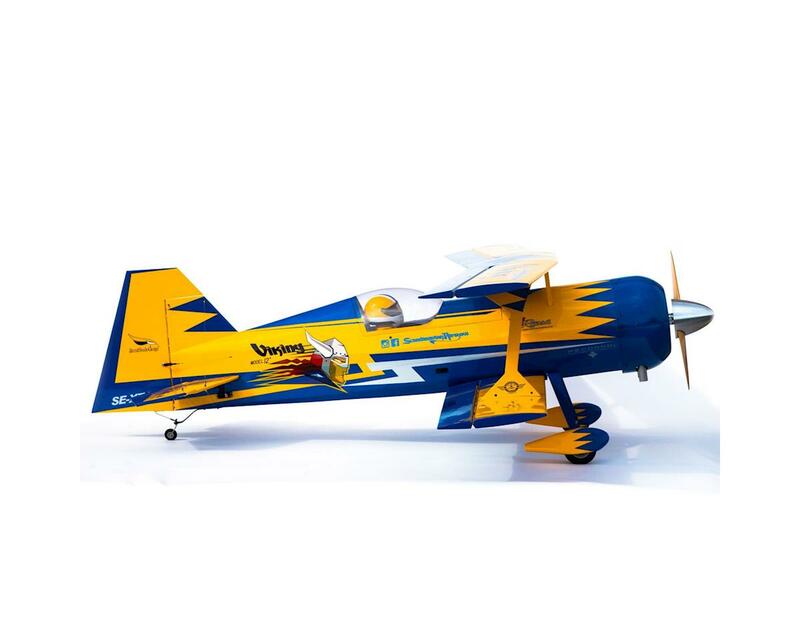 The result is an ARF model that goes together easily and flies with laser-true precision. As with the airframe, the landing gear, split cowl and wheel pants are made from the best materials available. And all are painted to perfectly match the vibrant UltraCote® film trim scheme. 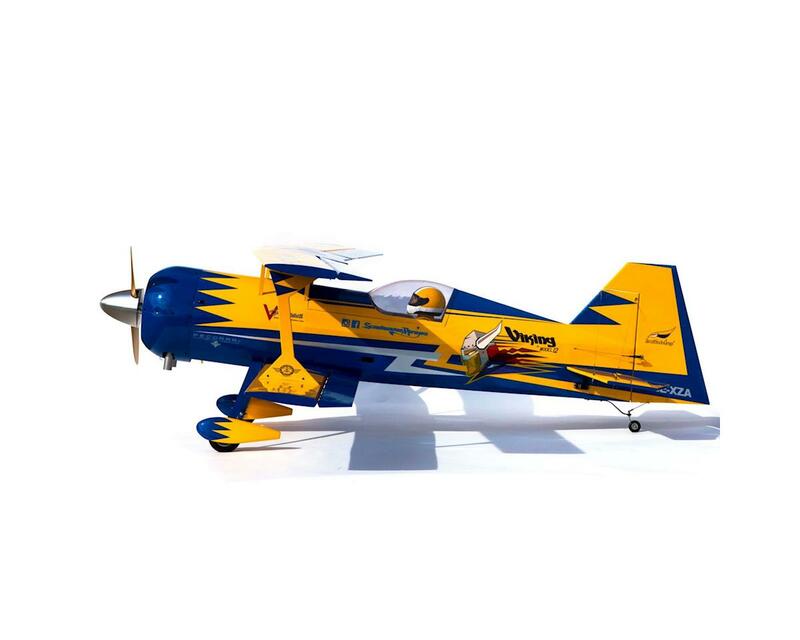 Both the upper and lower wings benefit from the strength of carbon fiber wing tubes that can easily withstand the stress of aggressive 3D aerobatics. 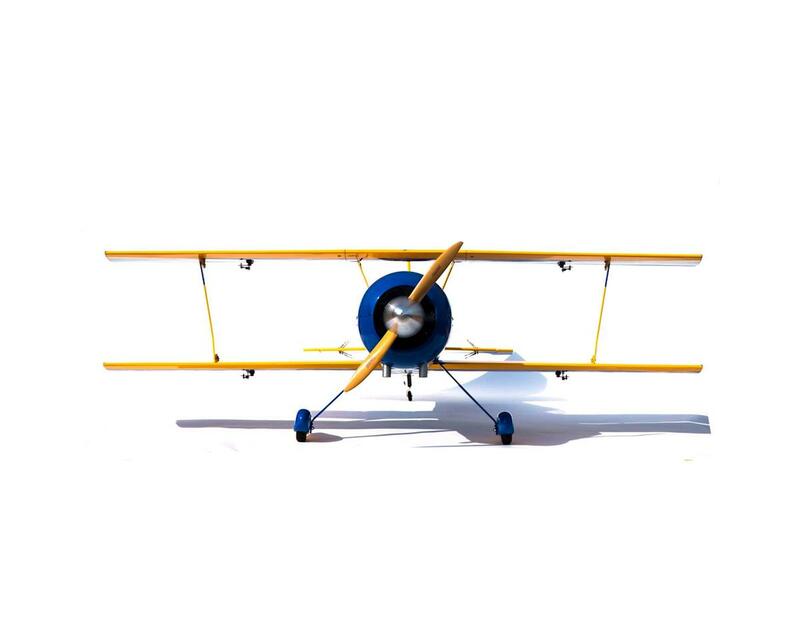 The tail wheel bracket is also reinforced with carbon fiber for extra durability without extra weight. The bolt pattern drilled into the firewall makes it easy to mount any of the most popular 100-125cc engines. CG (center of gravity): 63mm behind leading edge of lower wing. Range 60-70mm.